The national rate of charter school closures is notably gaining on the rate of charter school openings. In spring 2018, the ed-reform publication, Education Next, published an article about the decline in charter school annual net growth (number of new charter schools minus number of charter school closures per year) since the 2013-14 school year. The graph below ends with the 2016-17 school year. Note that EdNext reports that the data from this graph comes from another ed reform org, the National Alliance for Public Charter Schools (NAPCS). As of this writing, NAPCS has two reports available focused on charter school enrollment, one from 2016-17 and one, from 2017-18. In 2016-17, NAPCS reported that across the nation, 329 new charter schools opened in fall 2016 as 211 had closed by spring 2016, for a net gain of 118 additional charter schools in 2016-17. The total number of charter schools open nationally in 2016-17 was 6,939, which yielded a gain of 1.7 percent (118 / 6,939), somewhat shy of the 2.3 percent EdNext listed in its spring 2018 graph, and on the lean end of the rounded “2 percent” presented in NAPCS’s 2016-17 report. But let us give the benefit of the still-embarrassing doubt to EdNext, who may have received more precise data from NAPCS, with both pro-charter orgs understandably motivated to present this loss in the best possible light. A dim light at a best of 2.3 percent, but worth a couple more lumens than the 1.7 percent based on the data in NAPCS’s 2016-17 report. Going beyond the data in the EdNext report: In 2017-18, NAPCS loses more lumens: 309 new charters opened across the nation in fall 2017 even as 238 had closed by spring of 2017, yielding a net gain nationally of 71 additional charter schools in 2017-18. Given that NAPCS reported 7,038 charter schools in operation in 2017-18, the net gain was 1 percent (71 / 7,038), which NAPCS reported spot-on as 1 percent. The tortoise of charter school closure is gaining on the hare of new charter openings. The U.S. Department of Education awarded approximately $144.7 million in new grants to nine State Entities under the FY 2017 Charter Schools Program State Entities competition. The investments will enable them to run state-level grant competitions to support approximately 445 new, replicating and expanding public charter schools. The U.S. Department of Education and various private foundations offer charter school grant funding for educator development, facilities improvements and program enhancement. The grant landscape is ever-changing, including charter school grant opportunities. An FY18 Omnibus spending bill was recently passed by the current administration. Betsy DeVos, Secretary of Education, intends to funnel more than $1 billion toward private school vouchers and other school choice plans with an emphasis on charter schools. On March 23, 2018, Congress authorized $400 million in funding for charter schools; that is an increase of $58 million from last year. Keep an eye on the Department of Education funding opportunity forecast. We tailor our financial support to help charter schools succeed. Our large, multiyear grants and low-interest loans are tied to customized goals. We are problem solvers and help management teams resolve the inevitable challenges of growth. We strive to be patient investors, but we are willing to restructure or end investments if problems are not resolved. The Walton Family Foundation has supported the creation and growth of diverse, high-quality charter schools since 1997 as part of our effort to give all families — especially those with the greatest needs — the opportunity to choose the best options for their children. In our Public Charter Startup Grant Program, we focus on supporting high-quality and high-potential charter schools serving low-income children in our target geographies. The foundation has invested more than $407 million to grow high-quality charter schools since 1997. Going forward, the Walton Family Foundation is committed to helping high-performing charter management organizations expand and replicate what works. It is also committed to investing more in small, independent operators who have new ideas about how to provide high-quality educational options to high-needs students. We believe entrepreneurs with new ideas can innovate, answer communities’ demands, and create great schools that meet each child’s unique needs. All of this money across years for charter establishment, expansion, and messaging, and still, the tortoise gains. While the charter school movement saw many new schools open this year, there were also 238 charter schools that ceased operation. These schools closed for a variety of reasons, including low enrollment, financial concerns and/or low academic performance. The charter model gives charter schools the freedom to be more innovative, while being held accountable for improving student achievement. 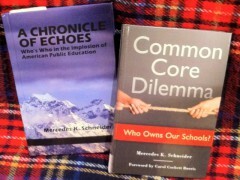 School closures provide evidence that the accountability part of the charter model is being upheld. 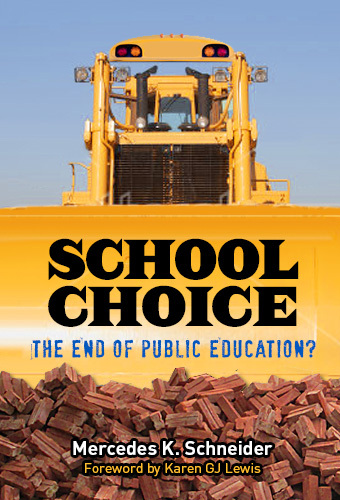 Indeed, if recent years are any indication, the charter accountability model might indeed work so well that charter schools experience near-extinction on the national scale in the upcoming decade. Watch out, well-funded, charter-growth hare. The tortoise of greater closure approaches. What a sad excuse of a statement about charter school accountability. I wonder how many of those private charter school closings resulted in students and parents being left with finding another school in the middle of the year and/or right at the beginning of the year? Love your rabbit and tortoise image are the punctuation in this report. I also ran across a recent article identifying higher education deserts.That concept is not relevant to online programs unless they have a residency requirement. I suppose that the original desert concept refered to food deserts in high poverty communities. Some number of people made bank, though, which has really been the goal all along. « Almost-All-Charter New Orleans: Not “A Better Way to Run Schools.